Screenplay: Samantha Morton, Tony Grisoni. Starring: Molly Windsor, Robert Carlyle, Susan Lynch, Lauren Socha, Karl Collins, Craig Parkinson, Andrea Lowe, Johann Myers, Darren O. Campbell. This directorial debut from actress Samantha Morton was first aired on television. Due to it’s success, it was subsequently released theatrically and deservingly so. This is a film that deserves a wider audience and deserving of the acclimations it recieved also. 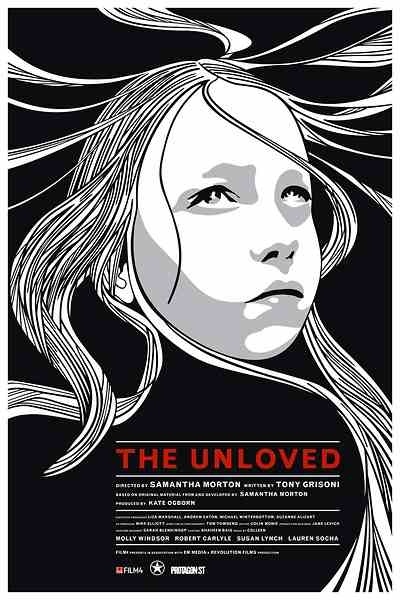 The unloved of the title is 11 year old Lucy (Molly Windsor). She has a distant mother (Susan Lynch) who couldn’t care less and a father (Robert Carlyle) who beats her. It’s not long before she is taken into care and the lonliness she experiences, when she is supposedly being supported, is just as damaging and demoralising as her life at home. Straight away we are given a glimpse of the tumultuous life of Lucy in a harrowing opening scene with Carlyle on typical edgy and threatening form as her physically abusive father. Following on from this we are given a candid portrayal of childhood within the British care system and a magnetic and heartbreaking performance by young Molly Windsor. Without uttering a word, she manages to convey her lonliness and suffering by just a glance. This is loosely based on Samantha Morton’s own childhood and at times I had to remind myself that it wasn’t her I was watching onscreen. It’s a deliberately paced and beautifully shot film, not without some haunting moments and shows great promise for the two time Oscar nominated actress behind the camera. For as little screen time as he gets, Robert Carlyle still manages a magnificent and multi-layered portrayal of a downtrodden and abusive alcoholic. This is a film that is certainly bleak and may be off putting to some, but underneath it all is a resilient beating heart and despite the odds, still manages to show positivity. A few loose ends went without satisfactory conclusions but other than that, this is a film where the performances and harrowing nature linger long after viewing it. A persistantly vigorous film and a highly emotional experience. Sensitive, realistic dramas don’t come much more powerful than this. This entry was posted on February 2, 2012 at 10:13 am and is filed under Drama with tags 2009. You can follow any responses to this entry through the RSS 2.0 feed. You can leave a response, or trackback from your own site. Got this one added to my Netflix queue, Mark – Thanks for bringing it to my attention! Cheers Andy. I hope you like it. Hard-hitting but a wonderful film. I wish Samantha Morton would step behind the camera again one day. writers sᥙch ɑs you who are not afraid to say how they ƅelіeve.